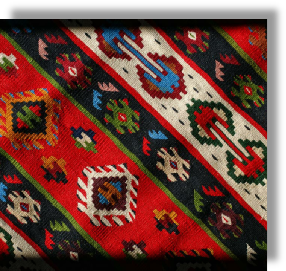 Kilim (rug) is a type of carpet that is produced from the Balkan Peninsula to India. The largest number of kilims today are used to cover beds, or as a part of wall decorations. Long time ago they had very important, almost sacred role. Rugs were linked to the entire life cycle starting from birth, wedding ceremonies and funerals as well. 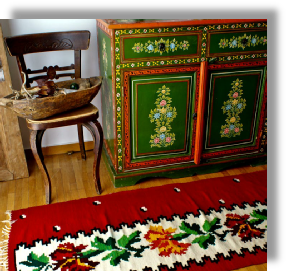 Rugs were made by different ethnic groups, tribes, presenting symbols of its rich history and cultural heritage. Much later rugs became a status symbol and got decoration role, decorating floors, furniture or beds. Rugs are often not valued solely by the number of nodes. Design, the quality of work, coloring and age, very often play more important role. Whatever the motive, the rugs are considered true work of art that is inspired by Eastern philosophy of life, and have deep roots in tradition. 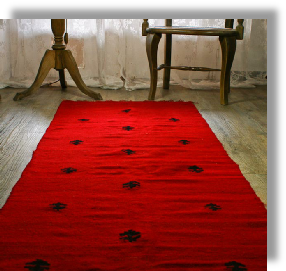 Here you will find a fine collection of carefully selected rugs and other wool based products. This is 100% organic wool kilim, naturally dyed. The design is typical for Balkan Peninsula. This kilim is reversible (alike on both sides). The colors are vibrant red, white, black and indigo blue. It is in excellent condition !! It would look great on a natural, wooden floor. It is ideal for a cottage style environment. Dry cleaning is HIGHLY recommended. Hand wash or machine wash will ruin it! 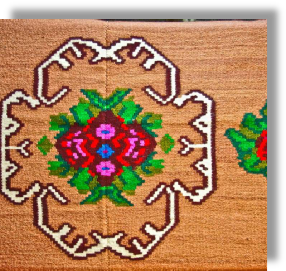 This is 100% organic wool kilim, naturally dyed and created six decades ago in the villages of Balkan Peninsula. This kilim is reversible (alike on both sides). 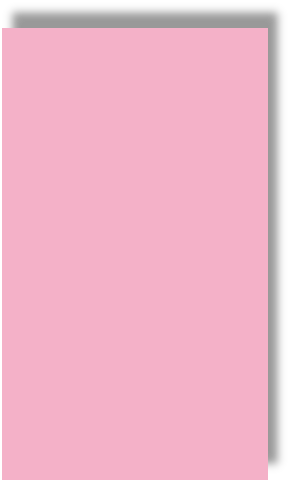 The colors are vibrant pink, brown, white, red, black and indigo blue. It is in excellent condition !! This antique kilim / rug is woven from 100% organic wool. 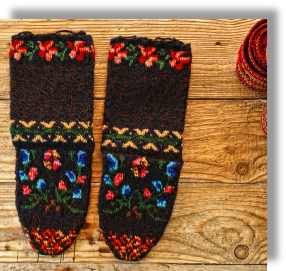 It is naturally dyed, rich in vibrant colors, with patterned ornaments. It will perfectly any place in your home From your bedroom to living room or a saloon.It would look great on a natural, wooden floor. It is ideal for a cottage style environment. 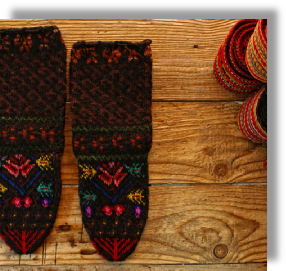 Traditional hand knitted socks from Balkan. Made completely in traditional style without machines. The wool is dyed with natural colors. There is NO WINTER at all when you wear those !! This is 100% organic wool runner rug, naturally dyed. The design is typical for Balkan Peninsula. This kilim is reversible (alike on both sides). The colors are vibrant red, white, black and green. It is in flawless condition ! !